Trying to take your entrepreneurial endeavors to a professional level can be a grind. Today’s guest, Katie Webster, talks about the importance of Building Blocks to Success as a way to make it easier and more achievable. Katie shares so many helpful strategies for staying organized and on top of your goals as a food blogger. 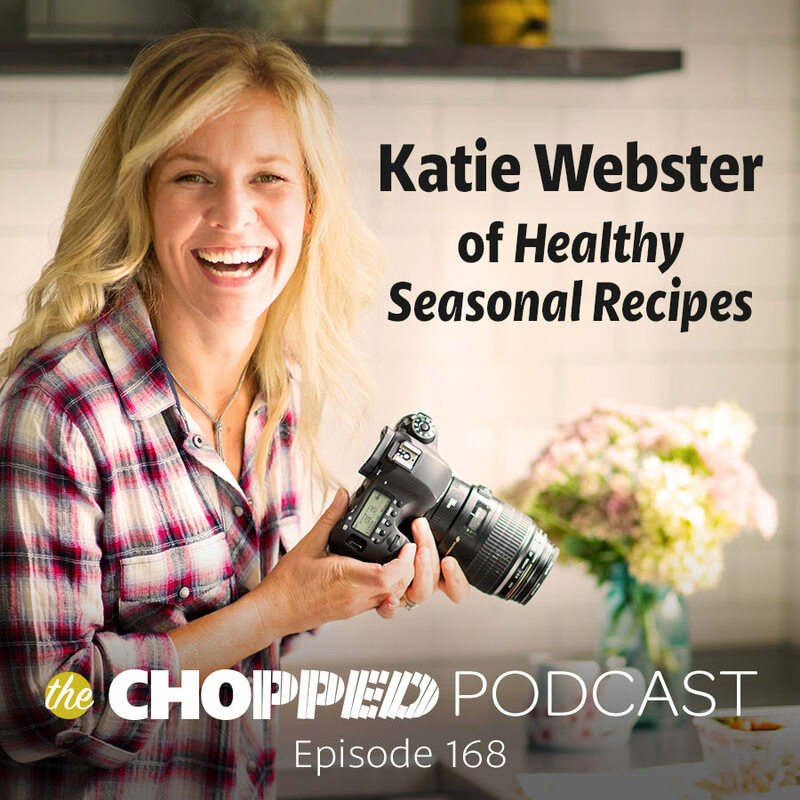 Katie Webster of the site Healthy Seasonal Recipes joins me in this episode of the Chopped Podcast! 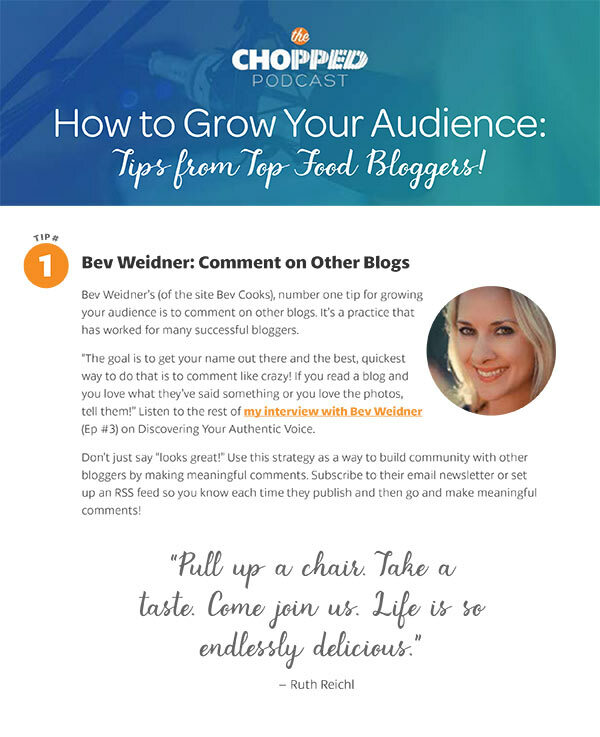 Katie’s culinary background gives her a unique perspective on the food blogging world, and she gives some insightful advice on so many aspects of being a food blogging professional. Katie provides tips and strategies on making projects successful, taking photos of yourself for social media, forming healthy approaches to food, and treating a blog like a portfolio. Katie is a culinary professional, cookbook author, former art major, intuitive eater, group fitness instructor, wife, and mother of two girls, just to name a few. This illustrates the many hats we all wear as food bloggers! Katie has worked for the Eating Well test kitchen, developing recipes. But she decided she wanted to start a food blog, with the goal of eventually writing a cookbook. And she did! It’s another example of how following your passion can lead to both success and happiness with your work! Katies discusses tactics like time-blocking, keyword research, and the triangle of success. Katie attended a webinar where they talked about the Triangle of Success as having three sides: Product, Process, and Relationships. You are probably drawn to one of these more than the other, but it takes a focus on all three to be truly successful! What are you? Are you more focused on process? If so, how does that impact your end product and relationships? If you’re more focused on product, you should spend some time thinking about how processes and relationships are important as well. Finally, if relationships are your main emphasis, think how you can incorporate more processes and products in your work. Because Katie’s food blog is based on healthy living, she also gives a very balanced approach to having a healthy relationship with food. Her methods include not restricting any types of food, but rather listening to your body to determine whether you’re full or not.